The United Student Government (USG) released its midyear report, detailing the club's accomplishments during the Fall 2018 semester. This week, the United Student Government (USG) released its midyear report, highlighting USG committee accomplishments in the Fall 2018 semester. The 40-page report also addressed budget allocations, student concerns and interests, club collaboration and internal affairs. The Budget Committee, chaired by Vice President of Finance Elizabeth Bjorklund, FCRH ’21, allocated $69,895.45 to clubs throughout the Fall 2018 semester. This number is in addition to the $529,568.32 allocated on Budget Day last semester, bringing the total allocated funds to clubs and organizations to $599,463.77. In November 2018, the Budget Committee allocated $517,310 to clubs and organizations for the Spring 2019 semester as well as the remaining $6,186 from Fall 2018. In a joint introductory statement, Executive President Connor Sullivan, FCRH ’19, and executive Vice President Kaylee Wong, GSB ’20, said that the report aims to address their great accomplishments and ensure transparency within and outside of USG. 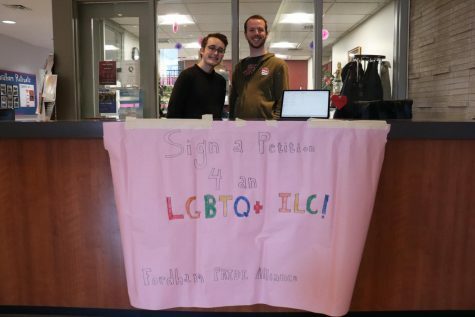 “A successful student government is one that fully represents the student body, but full representation means that students need to be aware of the actions of their elected representatives,” they said. In an effort to increase transparency, USG established the Marketing and Communications Committee in order to communicate information to the university community. Sullivan and Wong also said USG is writing a new constitution and set of bylaws. They called the current constitution is outdated, complex, unorganized and lengthy. Additionally, the report addresses 10 student concerns on campus. Senator Brian Daaleman, FCRH ’19, wrote an official resolution that calls upon the university to close for all national election days and allow excused absences to students who wish to go home to vote in state or local elections. Senators Debra Chieco, FCRH ’21, Carsyn Fisher, FCRH ’21, Katie Keane GSB ’21, Lauren Kiffer, GSB ’21, and Carlos Rico, FCRH ’21 are working on a request to have water fountains with bottle fillers installed in all residence halls and other locations on campus. This is part of USG’s ongoing effort to increase campus sustainability. Other concerns include adjusting hours at Walsh Library, increasing recycling in the library, the freshman “civility” program reform and the Belmont community housing welcome packet. The document details USG’s collaboration with other clubs from the Fall 2018 semester. 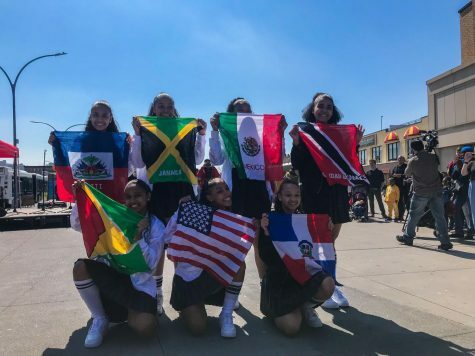 In collaboration with Campus Activities Board, Commuting Students Association and Residence Hall Association, USG held “Rock the Block” on Aug. 21 as a welcome event. USG also partnered with Every Vote Counts during the 2018 election cycle with the intent of encouraging students to vote. 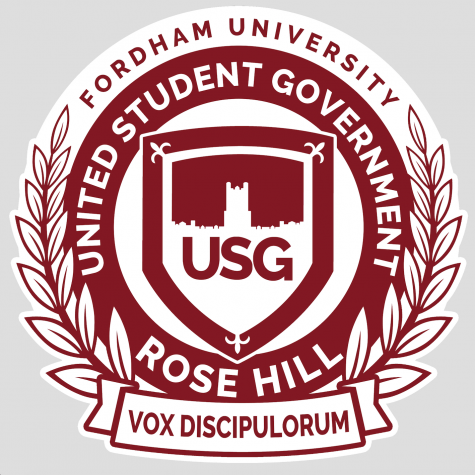 Internally, USG held an election for five open freshman senate seats: Senators David D’Onofrio, FCRH ’22, Thomas Reuter, FCRH’22, Margaret Tattersfield, FCRH’22, Matthew Heutel FCRH ’22 and William Perlman GSB ’22 were ultimately elected to council. On Sept. 15, Wong hosted the annual USG Fall Retreat. 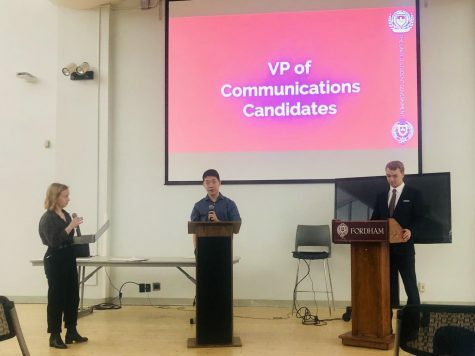 Senator Kevin McSorley, GSB ’20, partnered with Fordham Student TV (FSTV) to create the Senator Series; so far, representatives from the Communications and Marketing Committee have guest starred. The remaining sections are itemized by committee: the Budget Committee, Committee on Sexual Misconduct, Communications and Marketing Committee, Dining Committee, Diversity Action Coalition, GSB and FCRH Dean’s Councils, House Committee, Committee on International Integration, Operations Committee and Sustainability Committee. The report highlights in detail the events organized by each distinct committee and their continuous effort to better the university. Sullivan and Wong said the university community is welcome to reach out to their elected officials with any future concerns or questions. “Never hesitate to reach out to USG or your elected leaders and never hesitate to propose or highlight an issue that USG should focus on,” they said.